Early Bloomer. Shrub, small tree, showy pink/magenta flowers, used in basket weaving. Notes: Pea family. Cercis is a Greek name of uncertain origin. Occidentalis means ‘western.’ Redbud has an astringent bark which was used for diarrhea and dysentery. The flowers are edible and rather sweet tasting. The buds can be pickled. 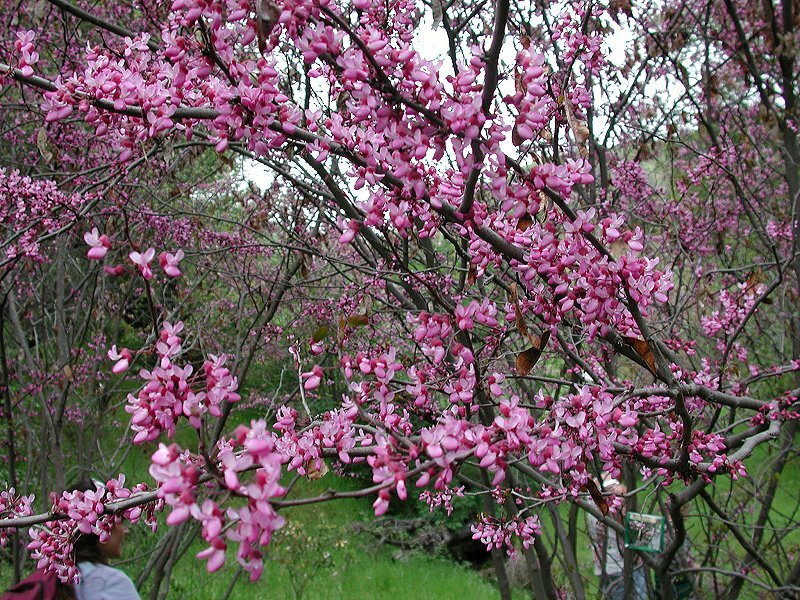 Although it is called Redbud, the flowers are more magenta-pink in color. Native Americans used the young branches for their 2-color baskets, the lighter color being from the willow. This small tree is one of our loveliest natives. Our local chapter of the California Native Plant Society is named for it. While educating the public about the ‘awful aliens,’ also promote planting of native species. Natives are adapted to the weather, animals, insects and so on, and can make life in the garden a win/win situation and a whole lot easier. Tell them that our Native Plant Society is available to answer their questions and has periodic plant sales as well. The Redbud is lovely and interesting throughout the seasons: brilliant flowers in the spring, lovely heart-shaped leaves in the summer that redden into the fall, and then long peapod-like seeds in the winter. Also, the Redbud is a Fabaceae (legume) member of the Pea Family, which means the Redbud fixes nitrogen in the soil. 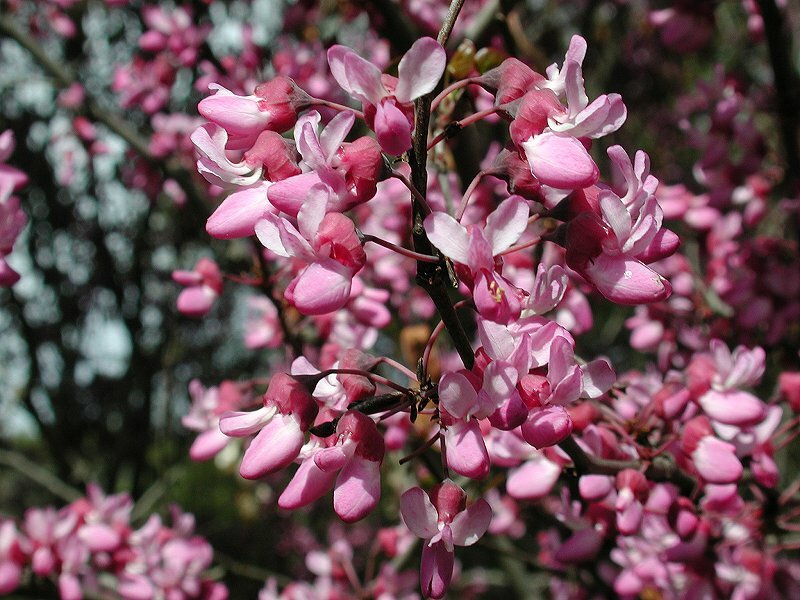 Stated more simply, the Redbud is a natural fertilizer of the soil. It thrives in disturbed places. Germination can begin with seeds scarred by shovels or broken down by the stomach acid of animals who eat them, or by the heat of wildfires (which ‘renews’ them). Native Americans used controlled burns for this purpose. Prefers ravines and canyons in moist areas. USDA does not list this plant under Cercis occidentalis, but does list under Cercis orbiculata. Click on the species name below to go to USDA for this plant.